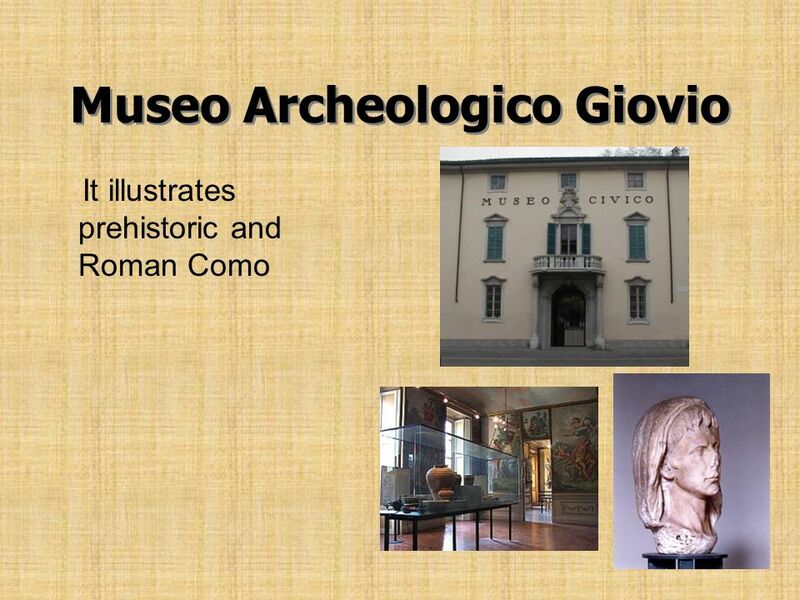 Museo Archeologico Giovo Porta Torre and Garibaldis statue Villas Tempio voltiano Churches and other monuments. 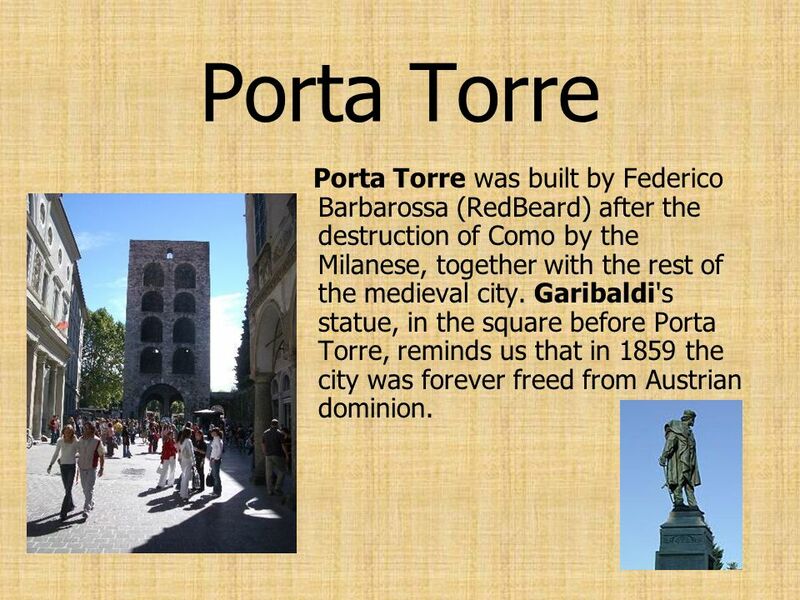 4 Porta Torre Porta Torre was built by Federico Barbarossa (RedBeard) after the destruction of Como by the Milanese, together with the rest of the medieval city. Garibaldi's statue, in the square before Porta Torre, reminds us that in 1859 the city was forever freed from Austrian dominion. 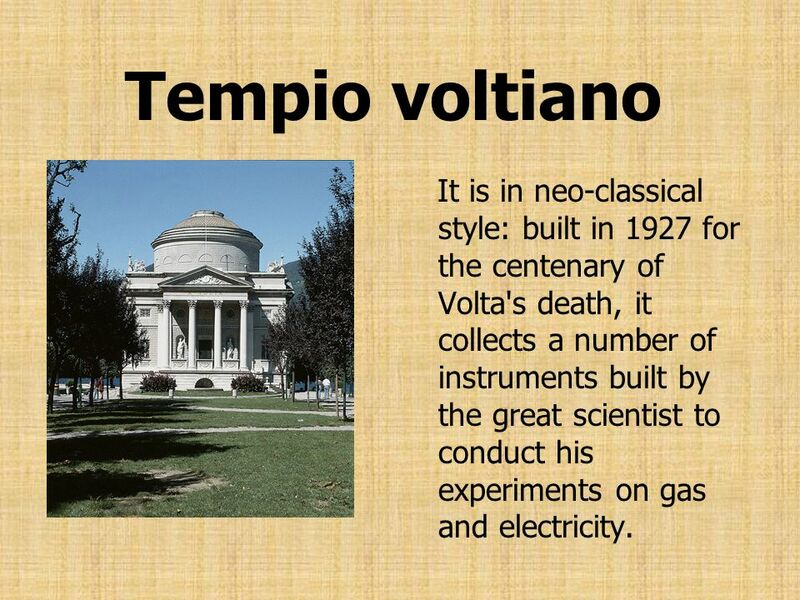 7 Tempio voltiano It is in neo-classical style: built in 1927 for the centenary of Volta's death, it collects a number of instruments built by the great scientist to conduct his experiments on gas and electricity. 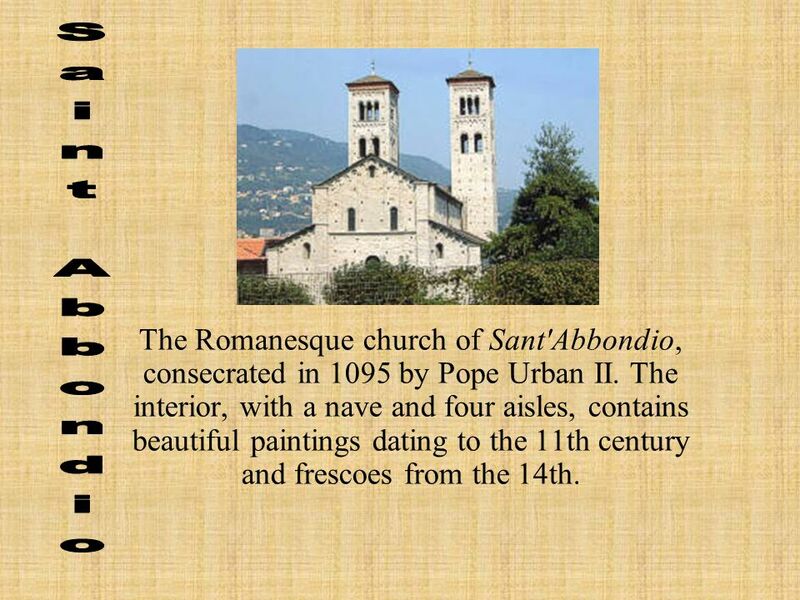 8 The Romanesque church of Sant'Abbondio, consecrated in 1095 by Pope Urban II. The interior, with a nave and four aisles, contains beautiful paintings dating to the 11th century and frescoes from the 14th. 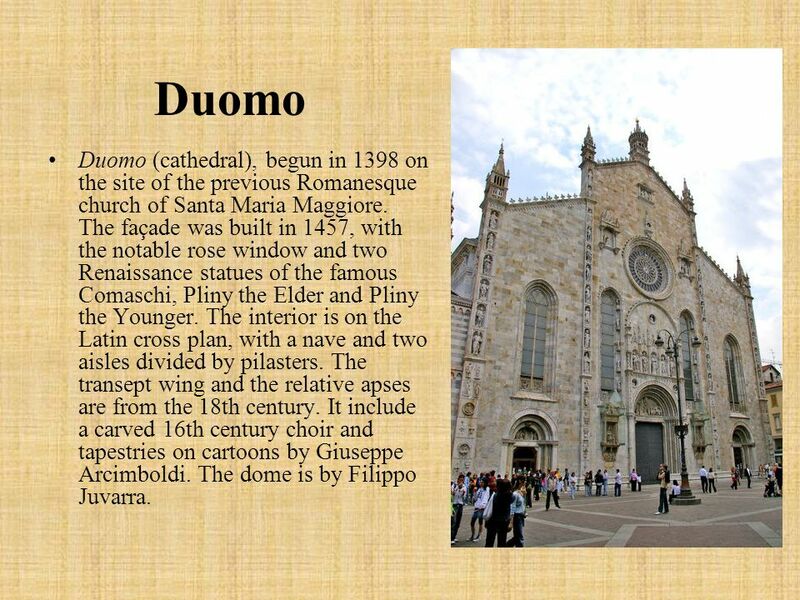 9 Duomo Duomo (cathedral), begun in 1398 on the site of the previous Romanesque church of Santa Maria Maggiore. The façade was built in 1457, with the notable rose window and two Renaissance statues of the famous Comaschi, Pliny the Elder and Pliny the Younger. The interior is on the Latin cross plan, with a nave and two aisles divided by pilasters. The transept wing and the relative apses are from the 18th century. It include a carved 16th century choir and tapestries on cartoons by Giuseppe Arcimboldi. The dome is by Filippo Juvarra. 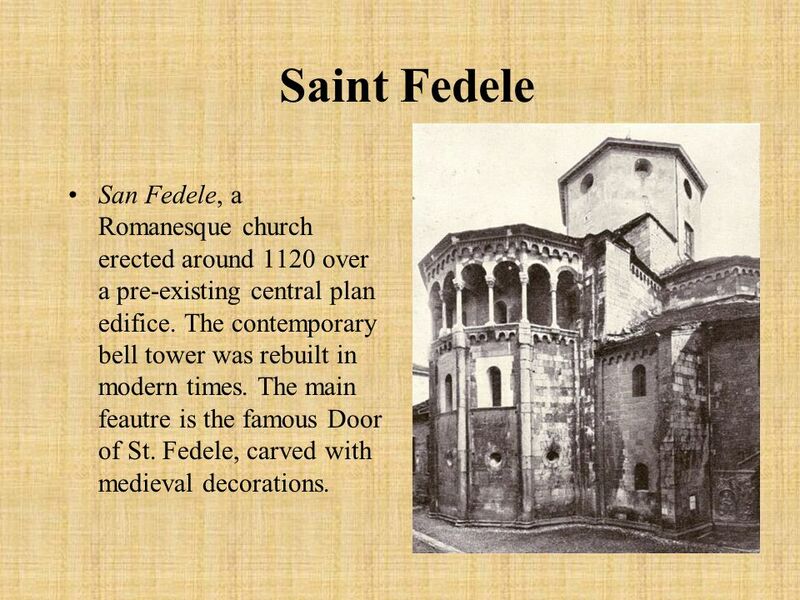 10 Saint Fedele San Fedele, a Romanesque church erected around 1120 over a pre-existing central plan edifice. The contemporary bell tower was rebuilt in modern times. The main feautre is the famous Door of St. Fedele, carved with medieval decorations. 11 Public edifices or other sighs Broletto (ancient Town Hall) Casa del Fascio, possibly Giuseppe Terragni's most famous work. It has been described as an early "landmark of modern European architecture". Monumento ai caduti (by Giuseppe Terragni) Teatro Sociale (by Giuseppe Cusi) Villa Olmo, built from 1797 in neoclassicist style by the Odescalchi family. It housed Napoleon Bonaparte, Ugo Foscolo, Metternich, Emperor Francis Ferdinand I, Giuseppe Garibaldi and other eminent figures. It is now seat of exhibitions. 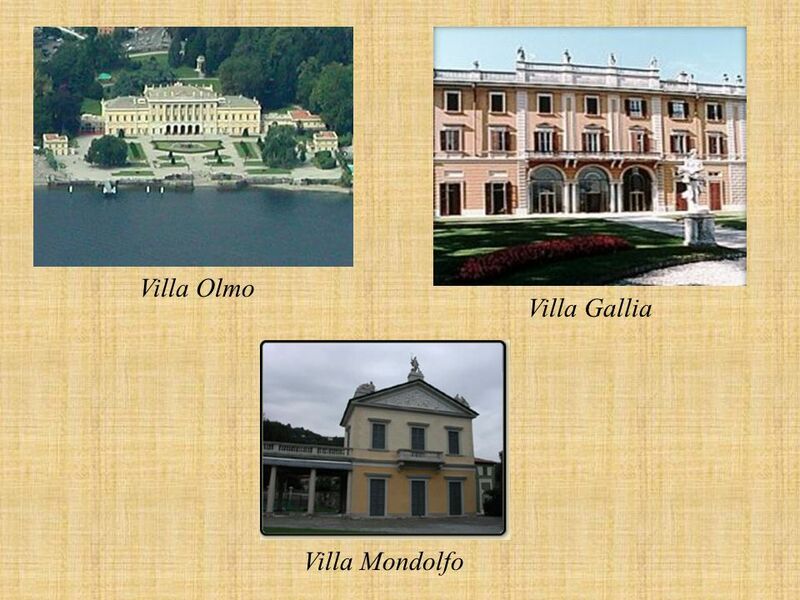 Villa Melzi (1808-1810), with a magnificent panorama over the Lake. It has a famous giardino all'Italiana. According to tradition, Franz Liszt composed here some of his most famous piano sonatas. Villa Carlotta (c. 1690). It has an English-style park, and a collection of marbles by Canova, reliefs by Thorvaldsen and others. Ancient walls (medieval) Castello Baradello, a small medieval castle. 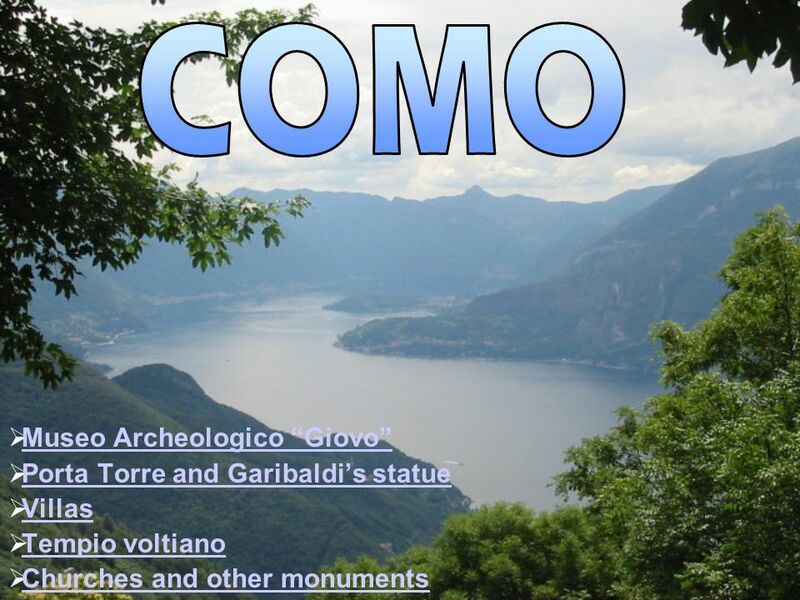 Download ppt "Museo Archeologico Giovo Porta Torre and Garibaldis statue Villas Tempio voltiano Churches and other monuments." By Cela Ilda Boldrin Luca. Back the time of the Estruscans, there was a Romans colony on the banks of the Arno, at the time of Caesar. This colony was. Cathedrals Romanesque Gothic. Floor plan of Canterbury, pre 1350. La cattedrale di Palermo The entrance to the Cathedral, dedicated to the Virgin Mary of the Assumption is located in Piazza Duomo. In the area of the present. Unit XI- Architecture Romanesque and Gothic Architecture Romanesque and Gothic Architecture Copyright 2006; C. Pettinato, RCS High School, All Rights Reserved. Position: Erice is situated on the summit of Monte San Giuliano. Church of Venice.... St. Mark's Basilica The Patriarchal Cathedral Basilica of Saint Mark (officially known in Italian as the Basilica Cattedrale Patriachale. 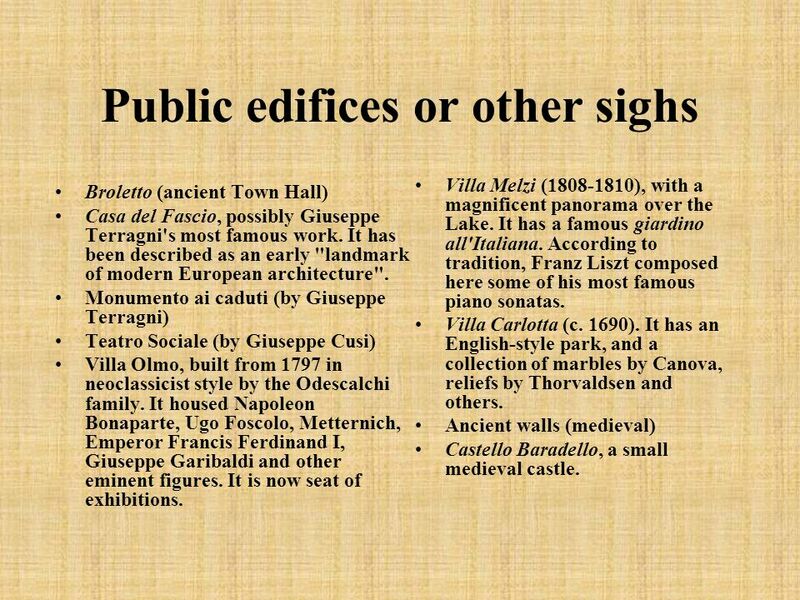 Carolingian and Ottonian Architecture Early Medieval to Carolingian Architecture Early medieval architecture was characterized by plain exteriors. Entrances. Gothic. Santa Croce, Florence, Italy. Begun 1294.  The basilica of “S. 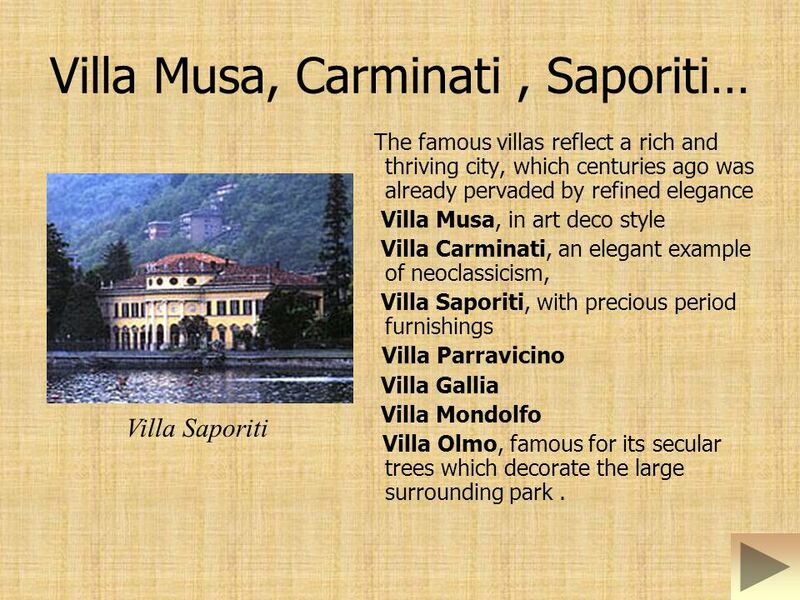 Ambrogio”;  The Scala Theatre;  The Vittorio Emanuele arcade;  Saint Maria  The Duomo;  The Sforza Castle;  The Egyptian. UNESCO OF THE CZECH REPUBLIC. JIHLAVA ABOUT JIHLAVA Jihlava is historical city in Moravia. 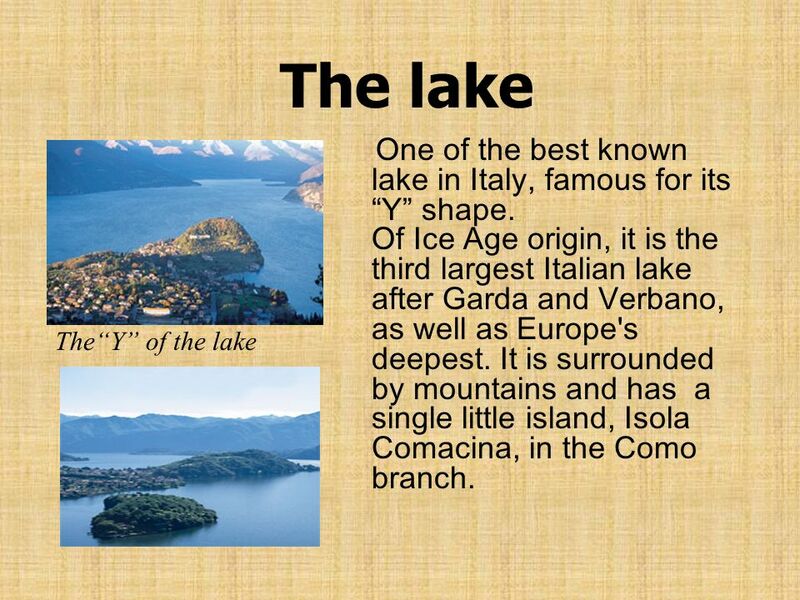 It´s not the UNESCO. There is a lot of sights and cultural. The Middle Ages By: Jennifer Bruton Sims Spring 2010. There is a Santa Claus church in our town, České Budějovice ! ! !